These earrings are so beautiful and delicate! 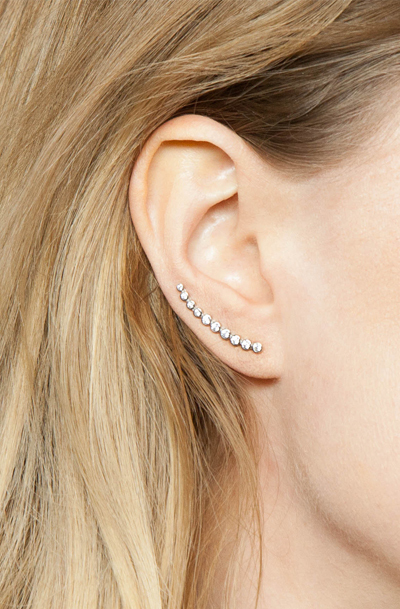 Ear Climbers are on trend and follow the natural curve of the earlobe. Give it a gentle pinch to keep it snug against your ear - Gorgeous!